TE Release Day: Naughty or Nice? Hello! It's Release Day at Taylored Expressions, and all of the new products are available NOW in the TE Store! For my final project this week, I used the adorable new Trim the Tag Dies. What a fun concept! 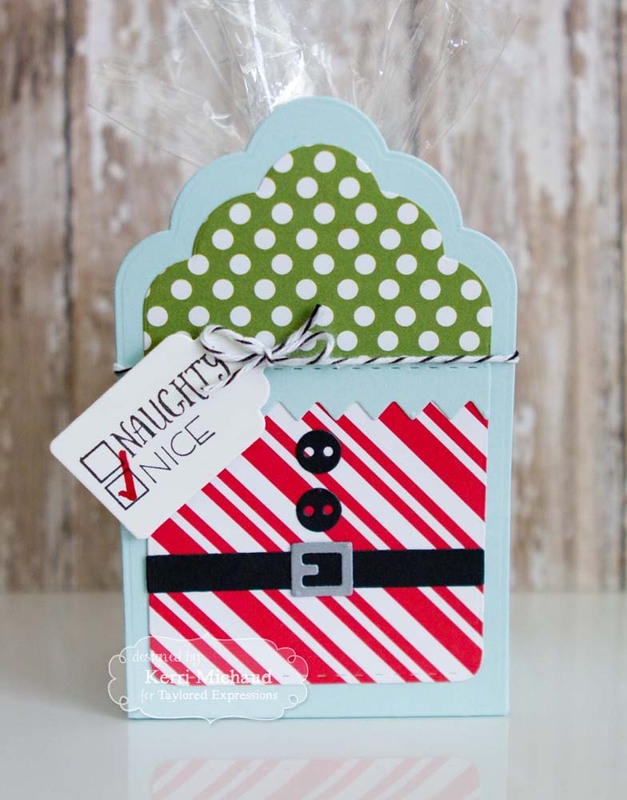 I created a sweet treat bag using the Tagging Along Die and then decorated with the Trim the Tag Dies and some Playful Patterns-Holiday dp. To finish it off, I added the little tag using a Tag Stacklets 1 Die and a sentiment from the Spoiler Alert Stamp Set. This is such a cute gift box! I love the way you used the patterned paper!